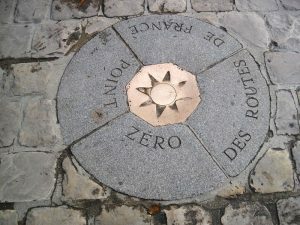 Want to visit France? 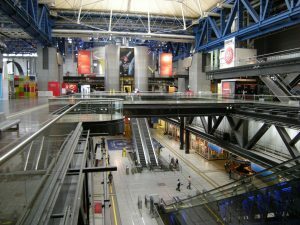 Beyond the Paris and France tourist attractions you are already familiar with, such as the Louvre, the Eiffel Tower, Disneyland Paris, or the Château de Versailles, France is full of tourist attractions through its beautiful regions. Here is a short list. 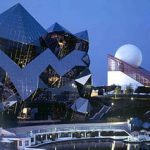 Located in Chasseneuil-du-Poitou and in Jaunay-Clan, in the region Nouvelle-Aquitaine, the Futuroscope, with 1.9 million visitors per year, is a leisure park that offers scientific and technology-based attractions. Due to the diversity of the different ones, they are accessible to both adults and children. You can experience sensorial attractions with realistic special effects, such as 3D and 4D (Ice Age attraction for instance) simulators, or get your adrenaline pumped up in training centers such as the Arena Fun Experiences, where you will test sports like the Flying Ball, and where you will experience sensational slides. More information here. 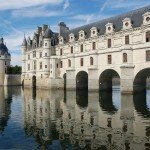 Among France tourist attractions, we can obviously find the Château de Chenonceau, one of the Loire castles. It is THE castle which can’t be missed during your visit of the valley of the Loire. It is the second most visited castle in France, after the Château de Versailles. 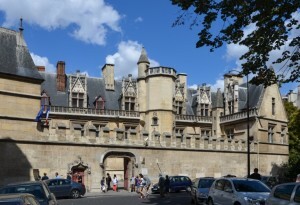 Built in 1513, it is an emblematic castle which has known many personalities, like Catherine de Medicis. 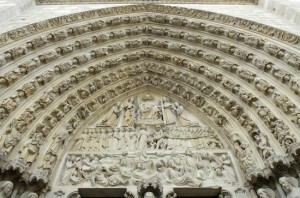 At ParisByM, we have designed a package “Loire Valley”, where the visit of this castle is included. More information about the castle here and about the package here. Each year, the Colleville-sur-Mer American Cemetery attracts numerous visitors who pay tribute to the graves of 9,387 US soldiers dead during Operation Overlord during the Normandy landings of June 6, 1944. 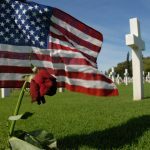 The cemetery is on the edge of Omaha Beach, there is a chapel, a garden, and you can attend the American Flag Descent and Folding ceremony, which takes place every day. We have created for you a special itinerary American D-Day Tour here. More information here. 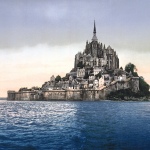 Who has never wanted to visit the Mont Saint Michel? This rock detached from the mainland facing the English Channel is above all a village, on which thrills the Abbey of Mont-Saint-Michel, overhanging a huge bay, which offers you a magnificent view. It is a must, and it is only 2 hours from the landing beaches in Normandy ! You can plan your visit checking information here. 5 – Top 1 France tourist attractions in winter/spring: ski resorts in the Alps! 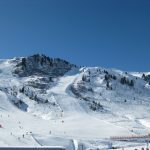 If you are visiting France from December to May, it is essential that you go skiing on the Mont Blanc massif, where a wide choice of resorts is possible: Chamonix, Brévent, Les Houches, Planard … According to if you want skiing at altitude or in valley. A great opportunity to discover the French Alps. More information here. 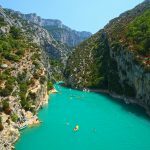 Located between the Var and the Alpes de Haute Provence, the Gorges du Verdon are part of the natural beauty of France. 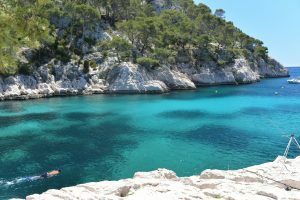 The turquoise color of the Verdon river will not leave you indifferent, and for the sportsmen and sportswomen, a little walk will make you discover the detail of these magnificent landscapes .. Learn more here. Provence is one of the most visited regions of France. Aix-En-Provence, Avignon, the famous village of Baux-de-Provence, they all are a must see, but the Roman heritage of this region is not to be overlooked: come and visit Arles, the magnificent Roman city remains with its amphitheater, its ancient theater, the thermal baths of Constantin (les thermes de Constantin), or the cryptoportica. History lovers, the information is here. 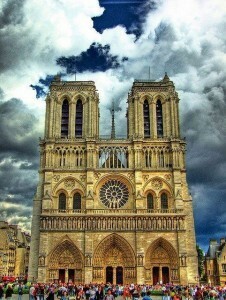 We hope our France tourist attractions will help you to prepare your visit! 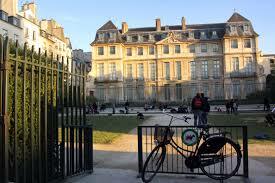 Have you heard about a very charming district of Paris full of students and always pleasant ? If so, it was definitely the depiction of the Latin Quarter. 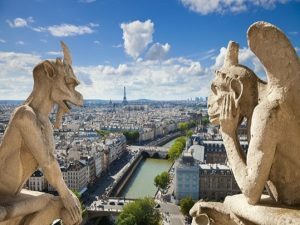 Called this way because the language used there was the Latin for a long time, its particular atmosphere with all its monuments, museums, green spaces and narrow lovely streets makes it a must-see of Paris we will tell you everything you should know about. Let’s start with the most famous monument of the Quarter: the Pantheon. 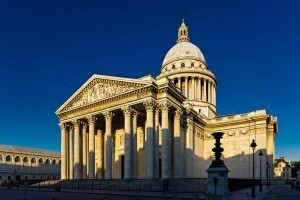 First built as a church in the 18th century under the reign of Louis XV as a tribute to Sainte-Geneviève, the Pantheon became lay during the French Revolution, although it knew some periods of religiousness afterwards. 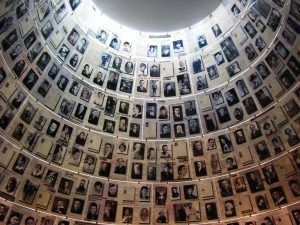 But since 1885, it is the place which houses the graves of “The Great Men of the Homeland”, be they writers such as Victor Hugo or Rousseau, scientists like Marie Curie, or supporters of the Resistance and “Justes de France” like Jean Moulin. 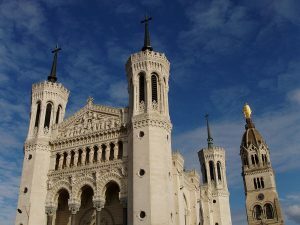 As for religious monuments, you can find different kinds: there is the beautiful church Saint-Etienne du Mont located just behind the Pantheon, but you shouldn’t miss either the Great Mosque of Paris, whose green-white colours and peacefulness will amaze you ! The Latin Quarter is also famous because you can find there a lot of renown schools, and the streets and gardens are crowded with students. Don’t miss the amazing Sorbonne and its square from which you’ll be able to admire its chapel, having a drink in the outside. 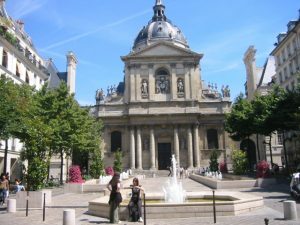 The Sorbonne is surrounded by the most brilliant high schools of France, Henri IV and Louis Le Grand, but also by the “Collège de France”, which is a prestigious monument dedicated to education and research. Thus, you won’t escape the lively but peaceful atmosphere the students give to this quarter, especially in the Luxembourg’s garden. 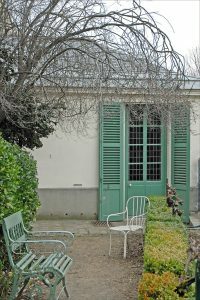 As we just said, the Luxembourg’s garden is one of the most famous in Paris. 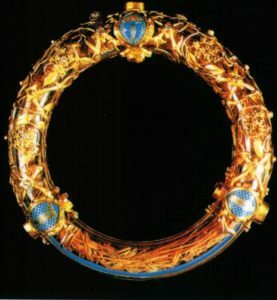 It was created with its Palace at the request of Marie de Médicis in 1612, and they both belong to the Senate today. 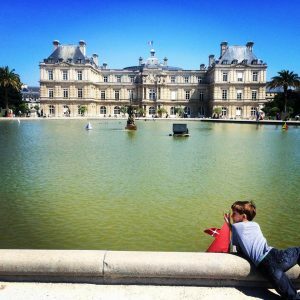 It is divided into a French and an English-styled part, and there are many activities you can do there to relax, such as contemplating the fountains and statues or renting a remotely controlled boat for the kids. 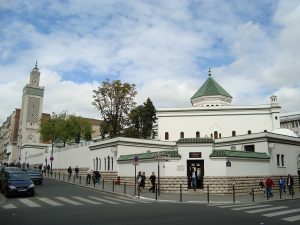 Further, next to the Great Mosque, you can find the Jardin des Plantes, made of greenhouses, specialized gardens, and even a small zoo. 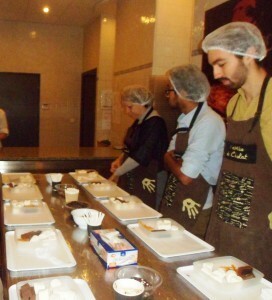 The variety of activities it offers will undoubtedly enable you to get your fill of nature ! 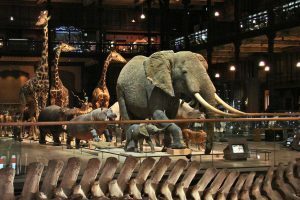 Appended to the Jardin des Plantes stands the National Museum of Natural History, in which you should go especially if you want to discover the evolution of species and wander among life-size representations of them. If you are fond of nature, animals and biology, you shouldn’t miss this museum ! In a very different category, you can visit the Musée de Cluny, dedicated to the Middle Age, as suggested by its physical appearance. 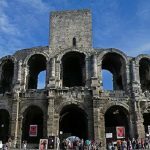 You’ll be stunned by the place itself, composed of the Gallo-Roman thermal baths of Lutèce and the hotel of Cluny, which will immediately dive you into another time. The vestiges you will find there are also very varied : there are paintings, daily items, goldsmithery, sculptures… and many other treasures! Finally, there is the remarkable Institut du Monde Arabe, along the River Seine. Retracing the story and the evolution of the Arabic world through many items such as jewels, ceramics, clothes and others… If you go there, don’t miss the rooftop’s view over the Notre-Dame Cathedral and l’Ile de la Cité which will leave you delighted. There are two boulevards you shouldn’t miss : the Boulevard Saint-Michel and the Boulevard Saint-Germain. 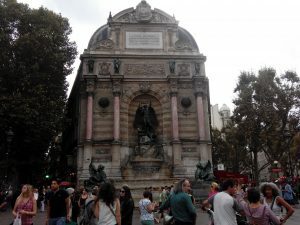 The first one begins at the Square Saint-Michel, where you can find a very beautiful fountain, and reaches the Port Royal intersection throughout the main sights, like the Pantheon, the Museum of Cluny, or the Odeon Theatre. The second one is headed to the National Assembly, and will provide you a pleasant walk with its restaurants, luxurious boutiques and numerous furniture trading names, without forgetting the beautiful Church Saint-Germain des Prés. 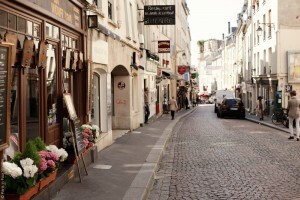 The Latin Quarter is also made of pretty and lively streets. The Rue Mouffetard, one of the oldest streets of Paris, is famous for its restaurants and cafés, while the Rue Vaugirard, the largest of Paris, is known for its shops. It goes from the Sorbonne Square to Versailles, through Odeon, the Senate, and the Luxembourg. What a pretty walk, isn’t it ? 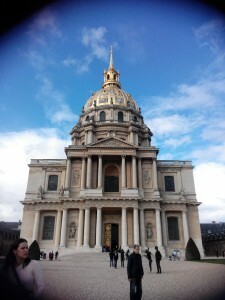 Louis XIV decided to build The Hôtel des Invalides, in order to host and take care of the injured soldiers. The aim was quite philanthropist : enabling them to enjoy the rest of their life the best possible in a place they would be taken care of. 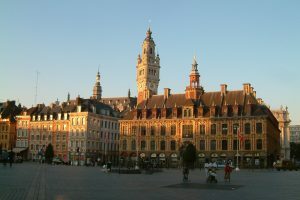 Then, two museums were created in the Hotel : the Artillery Museum (1796), exposing royal collections and other gifts, and the Historical Army Museum (1896). Only in 1905 did these two museums merge to become the army museum. 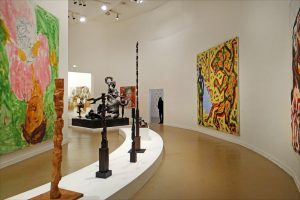 Today, this almost 10 000m² museum holds about 500 000 pieces so that it is the 3rd global collection, which makes it very impressive and undoubtedly worthseeing ! Since the army museum is divided into about 10 sections, we’ve decided to present you those you cannot miss. Let’s start with the most famous one : The Rounded Roof Church. This dome is the symbol of the Hotel, because of its architectural magnificence. Built in the end of the 17th century, this royal chapel pays tribute to its creator, Louis XIV through its decoration, but it also quickly became a sanctuary. In the 1800s, it began to house the tombstone of two renown Marshalls, Turenne, and Vauban (his heart at least). Recognizable from very far, it is mostly famous because it contains Napoléon 1er’s tombstone. The decoration style is quite stunning, with very few but fancy colours in noble stones (quartzite, granit and marble)… Thus, it has all the elements to amaze you ! 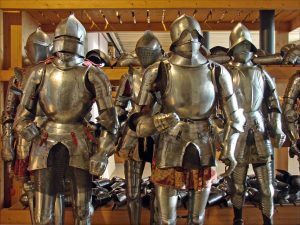 There, you will discover the evolution of the weapons used in Europe in this period, in a chronological order. From medieval swords to more modern arms such as guns, you will be invited to approach the unfolding of many European wars, and even to learn about the Asian inheritage of the weapons. The Modern District, from Louis XIV (1643) to Napoleon III (1870). More focused on the French History, you will be revealed the evolution of technologies and war strategies, but also the different political regimes France knew all over this period. You will be able to approach the soldiers’ daily life through their costumes, weapons, and you will also access Napoleon’s personal goods. 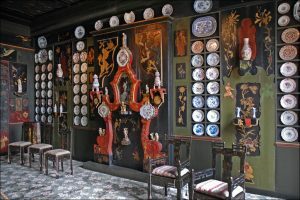 Besides, the section is renown for the diversity of its collection, so that you will also find more unusual items such as musical instruments or decorations. Turning points in the French, but also the World’s History, this district presents a very diversified collection of items showing what these wars were made of in terms of arms, and how they unfolded. You will note the contrast with the first District through the improvement of the weapons, and all the different rooms will make you feel like one of these soldiers. Moreover, there are personal documents such as letters or pictures which undoubtedly won’t leave you unmoved. Paying tribute to the 18th June Man, the one who liberated France from the Occupation, this district is quite different in shape and content from the others, because it is above all filled with multimedia archives. 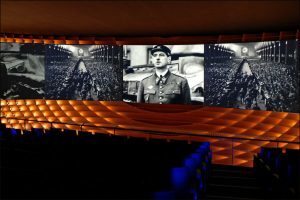 There are no items but many screens and an infra-red audioguide to dive you into the path and the achievements of Charles de Gaulle, a President of paramount importance in the French History, and who is still deeply rooted in its memory. We advise you to pass by the Cour d’Honneur, in which you will find other pieces of the French Artillery through 70 bronze cannons. You can also visit the Museum of Bas-Reliefs to discover plenty of cities and countrysides models. 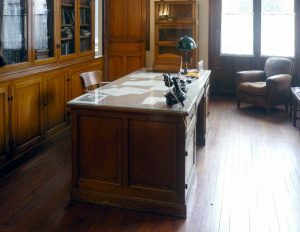 Finally, if you were pleased by the Charles de Gaulle Historial, you should visit the Museum of Order and Liberation, paying tribute to those who fought through the Resistance for the Liberation of France. Click in the following link to learn about the cost of the tickets and the opening hours. Note that the audioguides are available in 8 languages. 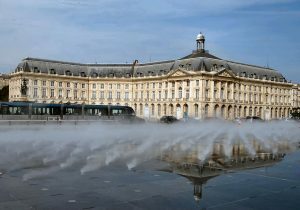 Moreover, if you want to eat, there is a restaurant called “le Carré des Invalides”. Enjoy your visit in the great army museum !